Masters of minimalism, Nudestix champions naturally enhanced skin, granting a truly ‘your skin but better’ finish. This latest addition is a case in point – Tinted Blur is a sheer tint that blurs imperfections and smooths out skin tone and texture. Blurring technology softens lines and pores, while lightweight, shade-adjusting and brightening pigments enhance your natural skin tone, rather than masking it. Effortlessly easy to use, these convenient, cream-to-powder sticks give a soft matte glow – for the Nudestix look, simply dot and dab wherever you need coverage. 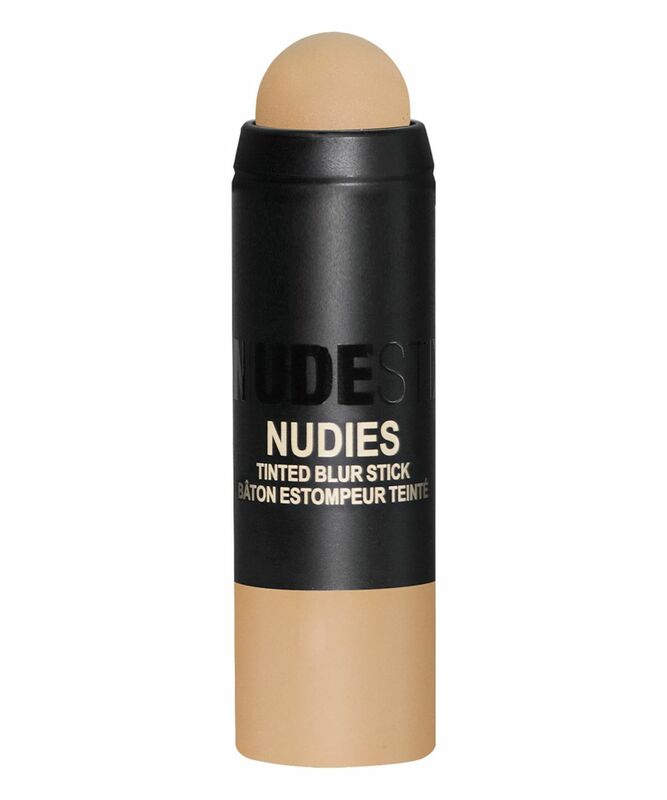 Delivering the most gorgeous soft matte glow, Nudestix’s Tinted Blur is a cream-to-powder tint that will enhance your complexion without ‘covering’ it. Granting a soft-focus, light-reflecting finish, this lightweight, sheer coverage formula is enhanced with shade-adjusting, imperfection-blurring pigments. Marvellously multi-tasking, this mineral stick can be used for all over tinted coverage or as a blurring primer, blotting cream, highlighting tool or contouring tool. The 100% vegan and oil-free formula is enriched with coco and green tea emollients to nourish skin while perfecting it. With ten versatile shades, you’ll be able to match and flatter your natural skin tone with ease. TINT: A tinted, sheer coverage, light-weight all over face stick that transforms skin to have a naturally smooth #nofilter appearance. Blur to smooth texture, soften lines, minimize pores, and even tone. BLURRING PRIMER: A blurring skin primer under any liquid, powder or cream foundation. BLOT: A natural soft-focus, glow diffusing blotting/setting powder to create a soft matte, not flat finish. Use over any foundation or in oily zones. 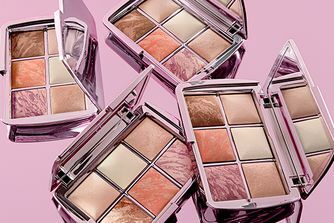 HIGHLIGHT AND CONTOUR: Skin-enhancing tones blend naturally to sculpt the face. I was so excited for this product, but when it arrived I was so dissapointed, the product is only half way the tube. Not worth it for that price, I had to return it. If you don't have major skin issues and you just want to cover and blur your imperfections with a lightweight texture I think this is for you. if only it had SPF in it too that would make it perfect. I got the light 3 to use for dark circles as well and except for the fact it's not the best cover for your small creases, I think it's a good one. Especially for hot climate when it's too heavy to walk outside with foundation. I love this as a foundation. It has a beautiful semi-matte finish and a nice sheer-to-medium coverage perfect for a "daytime" look! I bought the blur stick hoping to find a product that blurred my pores as well as minimizing my uneven skin tone. This is not the case. It did even out my skin tone but didn't "blur" my texture was very disappointed with that (that's why I gave this product only two stars because it doesn't do what it claims). 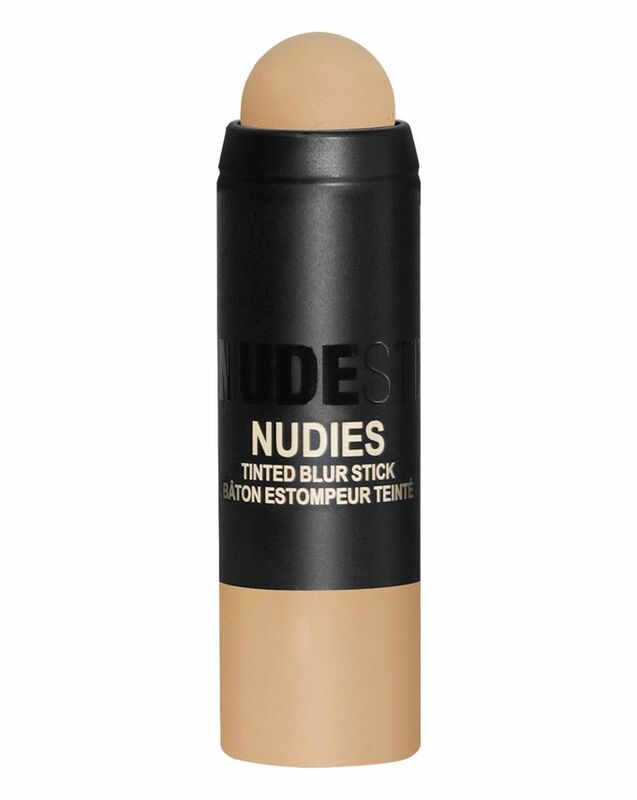 I do however love using the blur stick as a sheer coverage foundation over the top of the Cover FX blurring primer. I don't know how I feel about it, I mean it makes okay job evening my complexion, but no blurring or wow effect. I will use it up, but will I re-buy? I don't think so. I don't usually wear foundation because I don't have big problems with my skin and I don't like to feel it on my skin but this is perfect because it feels and looks like your skin and it's quick to apply.